Why Do You Need To Perform A Substance Cleanse? If you habitually consume harmful substances, or if you’ve gone beyond prescribed consumption of prescribed and/or illegal substances, your body is probably congested with substances and impurities that may have serious consequences for your health. If any of this describes your current situation, you’re not alone. For example, Americans make up less than 5 percent of the world’s population, but consume about 80 percent of the world’s painkillers; deaths resulting from prescription drug abuse increase each year. Increases in the use of illegal street drugs is also rampant, but the rapidly increasing numbers of those who opt instead for what they consider to be the relative “safety” of legal stimulants and depressants (like alcohol, caffeine, and tobacco) are poisoning their bodies as well. Abusing these substances does more than poison the user’s body; it also attacks marriage, family, and romantic and professional relationships. Inhibitions that are lowered during use of these substances can have legal, criminal, social, psychological, and sexual ramifications. Each class of drugs has a different physiological effect, but in addition to physical addiction, there are also psychological and emotional reasons for continuing to use them, and these reasons seem to have a common thread: the user is trying to alter or escape reality, to ignore the troubles of everyday life, to suppress bad feelings and thoughts, to fill a hole, or to supplement or replace something that’s lacking in the his or her life. If you’re using and/or abusing tobacco products, alcohol, prescription drugs, or any other toxic or harmful chemical substance, this Cleanse can help you make a commitment to yourself and to your loved ones—to declare that you’re ready to make a meaningful choice to improve the quality of your life. Alcohol is probably the most commonly used and abused chemical substance in the U.S. today. It’s a depressant, which means it has a sedative effect, lowering or lessening nervous and physiological activity, impairing the user’s ability to think and remember. Most of us understand what happens when we consume alcohol. For that percentage of the population who can be classed as abusers of alcohol, the perceived need to consume this legal and readily available chemical substance is so great that damage to some if not most of the systems of their body can occur—in severe cases, to the point of organ failure and death. The fact that a product considered legal by the government is also required to have so many highly visible warnings on each package should be an enormous red flag that convinces longtime users to quit and others never to begin smoking. Each year, thanks in part to this warning, the total number of people who smoke is declining, yet large numbers of young people keep picking up the habit, with all too many advancing from one or two cigarettes a day to one or two packs a day; sometimes even more. Use of chewing tobacco, too, is increasing—all of which shows that the ready availability of a substance can increase the potential for its abuse. Caffeine is a stimulant found in coffee; black, green, and white tea; soft drinks, including cola, Mountain Dew, some root beers, and some orange sodas; “energy water” or any “natural” beverage that contains guarana; “energy drinks,” including Red Bull and Monster; chocolate; caffeinated gum and mints; and some over-the-counter medical preparations, including certain weight-loss pills and pain relievers. It’s estimated that approximately 90 percent of North Americans consume caffeine daily. Caffeine is legal and largely unregulated in the U.S. While there are relatively few incidences of caffeine overdose, excessive caffeine consumption is not without its health risks. The possibilities of both physical and psychological addiction are widely debated. Detrimental effects of too much caffeine can include mild sleeplessness, irritability, anxiety, headaches, heart palpitations, muscle spasms, gastrointestinal problems, hallucinations, increased blood pressure, and more. If you feel like you’re consuming too much caffeine, perhaps because you’ve gotten into the habit of having a certain number of cups of coffee per day, or consuming large amounts of energy drinks because your school, work, or life schedule, it’s a good idea to jump off the caffeine treadmill and give your body a chance to clear it out of your system. The Substance Inhaler contains essential oils that that have traditionally been intended to help ease labored breathing (especially helpful during the process of quitting smoking), and are also purported to help with relaxation. This sense of rested well-being can help you in maintaining your resolve to combat any cravings you may be feeling, which can help you stay committed to the Cleanse. *Complete with instructions and a dietary regimen. What is the difference between the Full Body Cleanse and the Substance Cleanse? I did struggle with drug addiction for many years. I haven't done them in awhile but I honestly do sometimes feel as if I'm different because of the çhemicals I ingested doing street drugs. Can a customer do both this cleanse and the regular full body cleanse at the same time? Or what would be the recommendation ? You can only do one cleanse at a time. We always recommend starting off with the Full Body Cleanse. The Full Body Cleanse helps eliminates toxins from drug use. Detoxing your entire body helps repair the health of your major organs. 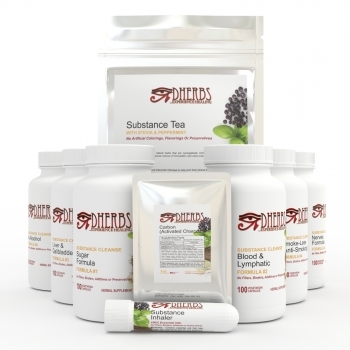 The Substance Abuse Cleanse specifically helps recondition your body from addiction. You can do the cleanses back to back. What is the diet on the substance abuse cleanse? All of the cleanses require you to keep a raw food diet. The main purpose for the diet is benefit from the food and to give your body a break from the foods it’s accustom to receiving. 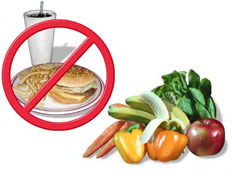 A lot of foods often contribute to the urge of using substances or smoking. You’re giving your body everything that it needs, not what it wants.